​With over 30 years of experience, Alexandar is an excellent practitioner of Necromancy, Eastern Magic, Middle Eastern Magic, and Ancient Peruvian Magic from Pre-Inca Times. Alexandar is also a Spiritual Adviser with a vast knowledge in Hindu and Thai Magic as well as a quite talented psychic with the aid of her natural abilities and Demon Friends. 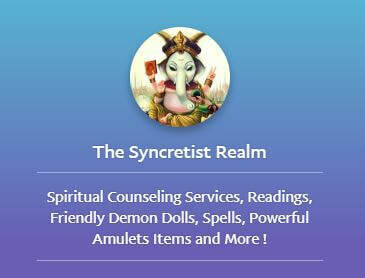 Fluent in 4 dialects and 5 languages she is also the creator of My Friendly Demon Doll and our clients favorite Choice.